If you have Applied for SSC JE Exam 2016 and waiting for the exam that is going to be held between 1st March 2017 to 4th March 2017 for 6,18,331 candidates then you can now download your Admit Card directly from the link given below. So as you know the exam is going to be held from 1st March 2017 to 4th March 2017 and Admit card now Available to download, You Don't have so much time, Prepare well According to SSC JE syllabus and Good Luck for your upcoming SSC JE 2016 Exam. Option 2 : Using Date of Birth and Your Roll No. 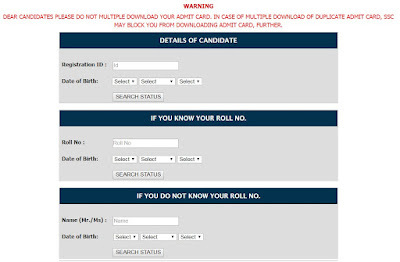 IMPORTANT NOTE - WARNING DEAR CANDIDATES PLEASE DO NOT MULTIPLE DOWNLOAD YOUR ADMIT CARD. 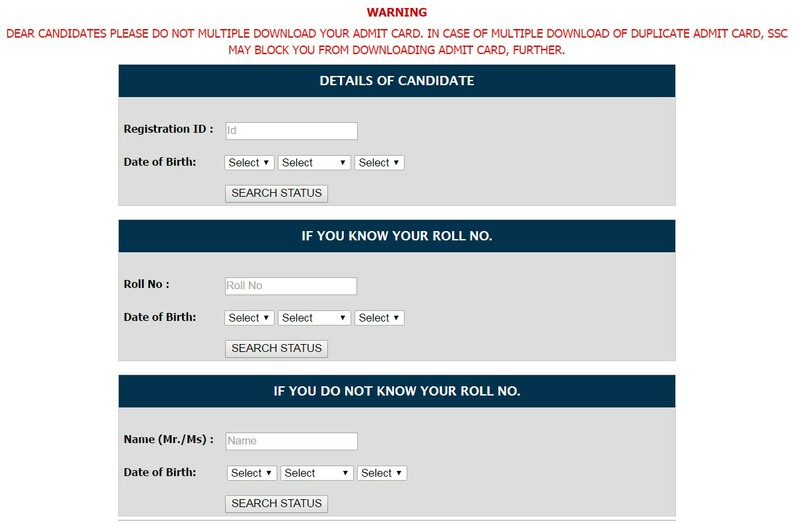 IN CASE OF MULTIPLE DOWNLOAD OF DUPLICATE ADMIT CARD, SSC MAY BLOCK YOU FROM DOWNLOADING ADMIT CARD, FURTHER.